"Where's your sense of adventure James? This is New Orleans. Relax." 007's American counterpart, Felix Leiter has often assisted Bond in his overseas operations. Leiter is probably the closest thing that Bond has had to a friend, as shown by 007's extreme reaction to Leiter's injuries in 'Licence To Kill'. Although Bond and Leiter have become strong allies, not much is known about Felix's private life. A CIA agent, Bond first encountered Leiter during the 'Dr. No' mission, since then, he has been involved in a number of missions with Bond, and they have not only remained allies, but become great friends. Leiter appears to have somewhat of a sense of humour, but his interests are unknown. Leiter is a resourceful highly ranked CIA agent and is a shining example of British-American cooperation. Felix goes out of his way to pool resources with MI6’s top agent when shadowing Mr. Big and indeed fosters a strong connection with James Bond, culminating with 007 acting as best man at Leiter’s wedding to the lovely Della Churchill. Live And Let Die – James Bond flies into JFK, hot on the tail of Kanagna, the UN ambassador to the island nation of San Monique with suspected connections to the New York gangster Mr Big. Leiter catches up with Bond after he has a close call up in Harlem and comes face to face with Mr. Big at one of the of city’s Filet of Soul restaurants. The pair investigates the chain of eateries run by Mr. Big and when Leiter steps out to take a call, Bond drops below to meet with the gangster again. Later, Felix is left to clean up the mess when 007 causes a crisis on the bayou and runs into the colorful Sheriff J.W. Pepper. In a dingy Key West marine biology lab, Leiter is dangled as shark meat whilst Franz Sanchez, Ed Killifer and Dario watch. In the chaos, Leiter looses a leg below the knee. Bond is maddened to find Leiter left for dead with the note, “he disagreed with something that ate him,” and seeks equally sadistic revenge on Sanchez and anyone connected to him. At the end of the mission, it is revealed that Leiter is recovering in hospital and is starting to return to his normal cheery self. 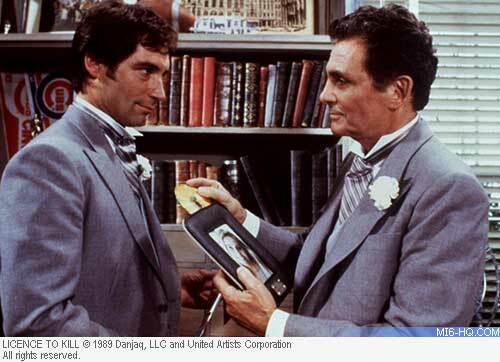 Hedison worked with Roger Moore on a number of occasions. 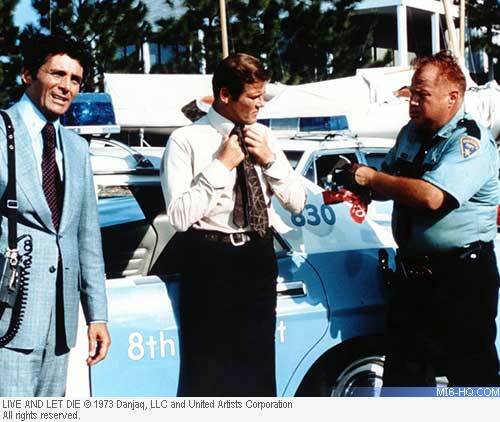 First on 1962’s TV adventure, “The Saint”, and then on Moore’s first Bond film, “Live and Let Die”. He went on to work with Moore in 1979’s “North Sea Hijack” and “The Naked Face” (1984). He recalled the casual casting process: "I was having dinner with the screenwriter, Tom Mankiewicz, and he asked if I'd be interested in playing Felix Leiter in "Live and Let Die." I read the script and thought it would be great fun to work on a James Bond film with Sean Connery who was supposed to do it. 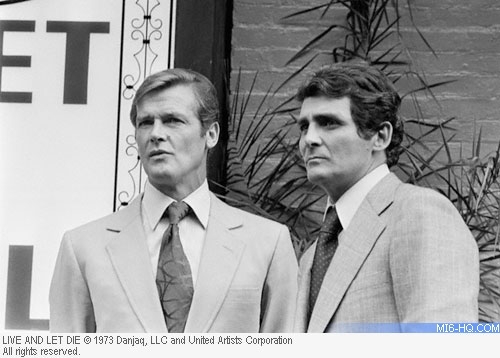 The next thing I knew, Sean stepped out – and Roger Moore stepped in. I couldn't have been happier since Roger and I were good friends." 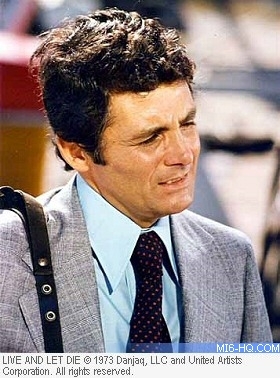 In the 1970s and ‘80s Hedison made regular roles on various sitcoms and long-running television dramas including “Fantasy Island” and “Love Boat” as well as various cameos, including memorable roles in “Knight Rider” and “Murder She Wrote”. 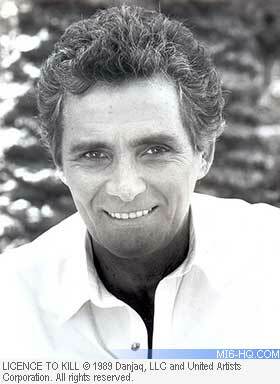 Hedison became the first actor to ever return to the Bond series as the memorable CIA man, Felix Leiter in 1989’s “Licence to Kill”. He won the role for the second time after bumping into Cubby and Dana Broccoli at dinner in LA. A couple of weeks later the call came in inviting him to appear in the 16th Bond film. 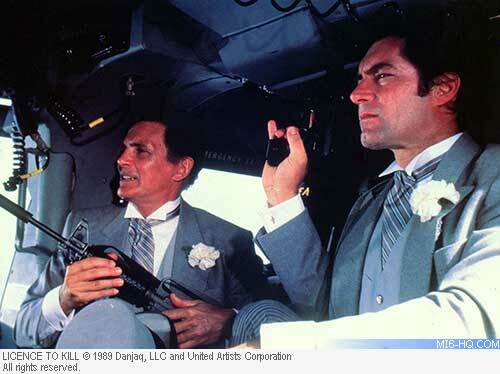 This film gave additional screen time to some of 007’s longest standing allies, including M, Felix Leiter and Q. In the sequence where Hedison and Dalton must gracefully parachute to Leiter’s wedding, the actor suffered a nasty fall when director John Glen requested that the crane (suspending the actors for their fall) drop Hedison a tad faster. In the next take Felix plummeted to the ground and left Hedison limping for the rest of the shoot. In 1968 he married his wife Bridget and the pair remained together until her death in 2016. He is the father of two daughters, Alexandra and Serena.